In celebration of the Blu-Ray and DVD release of The Nutcracker and The Four Realms tomorrow 1/29/19, Geeks Who Eat were inspired to create these unique Mother Ginger Crinkle Cookies. 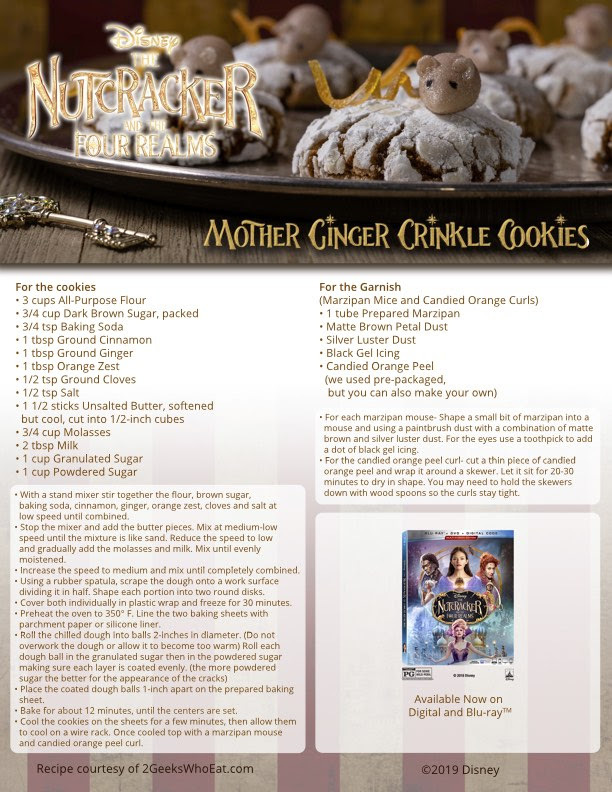 Be sure to catch The Nutcracker and The Four Realms on Blu-Ray and DVD and enjoy making these fun, delicious cookies with your children. I received a copy of The Nutcracker and The Four Realms. Those sound delicious! I love the little marzipan mice! I love your content so much, keep 'em coming! This really sounds amazing. I am looking forward to trying to make this..